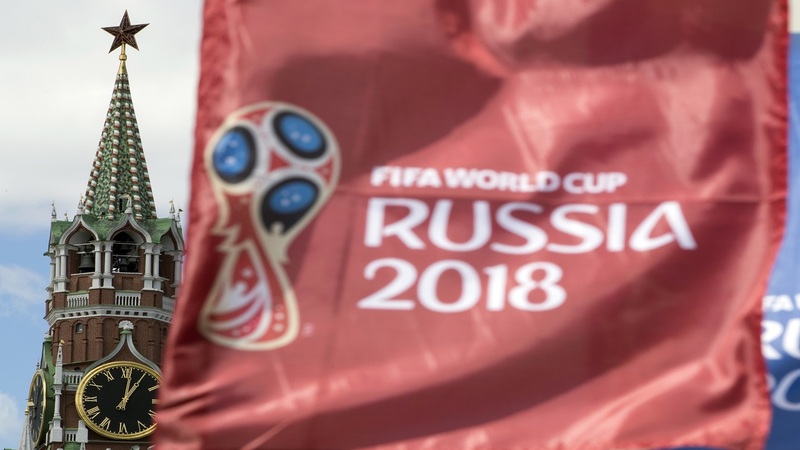 Moscow police are investigating a taxi crash that injured eight people, including two Mexican World Cup fans, when the driver plowed into pedestrians on a sidewalk near Red Square. Video circulating on Russian social media and some news websites showed the taxi veering onto the sidewalk Saturday and striking pedestrians. The source of the video was unclear. City police released a video Sunday of an interrogation session with a man identified as the Kyrgyz taxi driver, in which he says he briefly fell asleep at the wheel in the crash and accidentally hit the gas. It was unclear whether the man spoke under duress. The man says he hadn't slept in 20 hours, and ran away after the accident because he was afraid that angry bystanders would kill him. He was later detained. 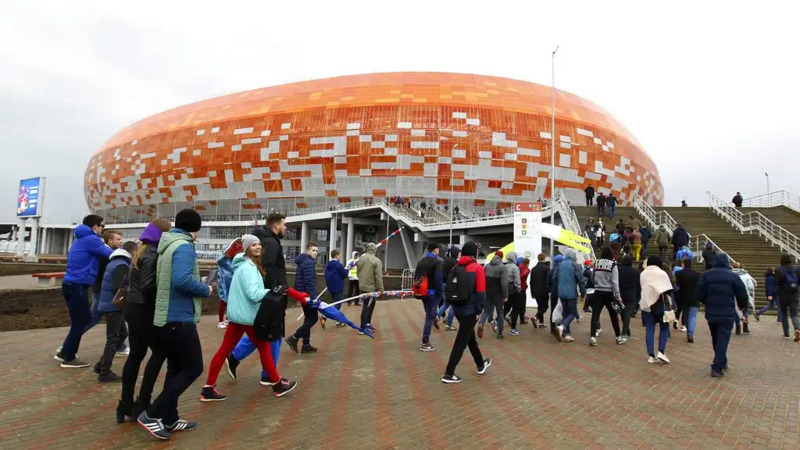 Moscow police would not comment Sunday on whether the crash would affect security measures for the World Cup, which is being held in 11 Russian cities over the next month. Among the security concerns has been the possible use of vehicles as weapons. The Mexican Embassy told The Associated Press that the two injured female fans met with embassy representatives and were not hospitalized. The Mexican national soccer teams plays against Germany on Sunday in Moscow. Details on other victims weren't immediately released. 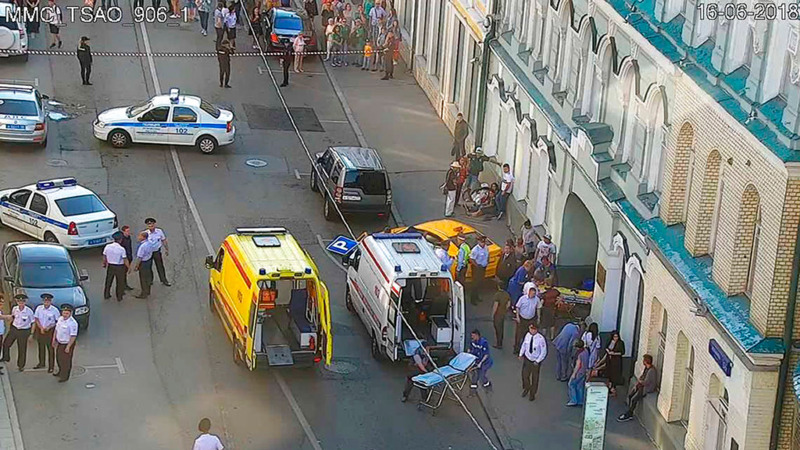 The accident took place on Ilinka Street, about 200 meters (650 feet) from Red Square and Moscow's famous GUM shopping arcade, an area popular with tourists.